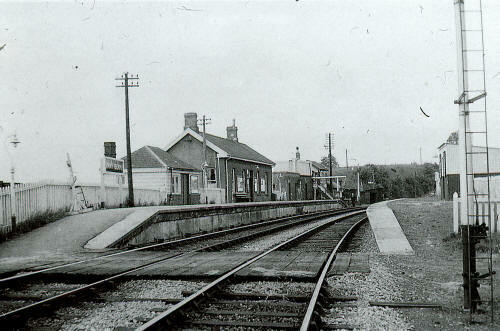 Similar to Above May 1955. Looking North towards Brecon. Train from Dowlais in the background. 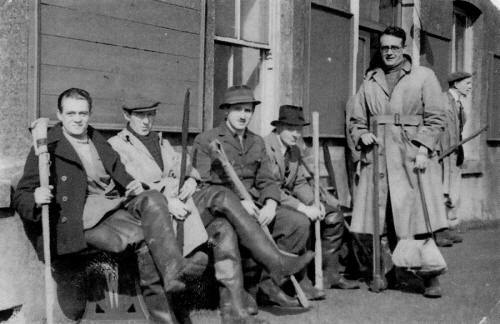 Pantyscallog - L.N.W.R. 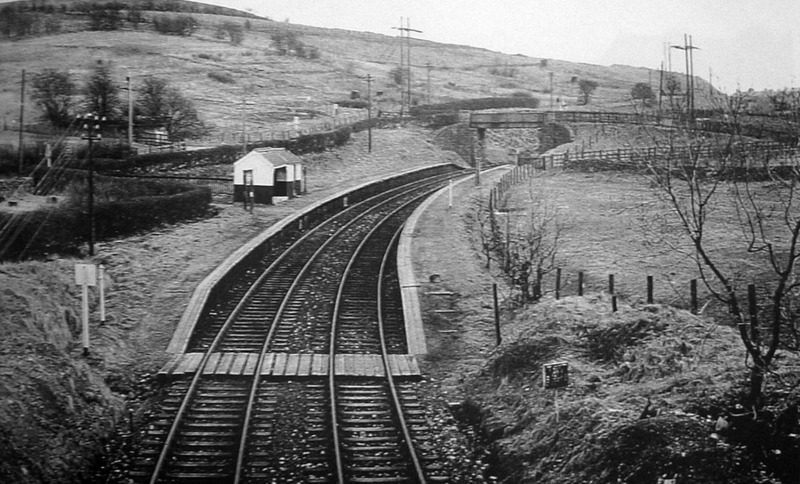 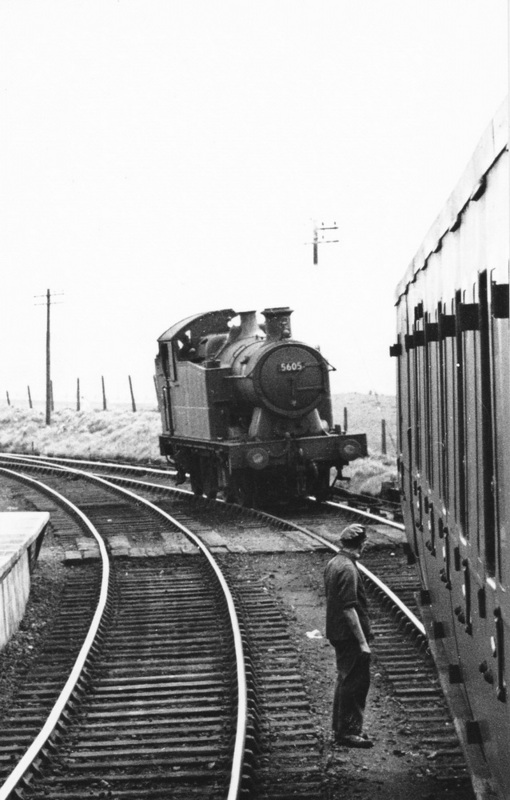 Halt - 1958.
sharply to the left, to go down behind King Street, into the 'Miler Tunnel', then on to Pontsarn, Cefn, Heolgerrig and eventually Merthyr. 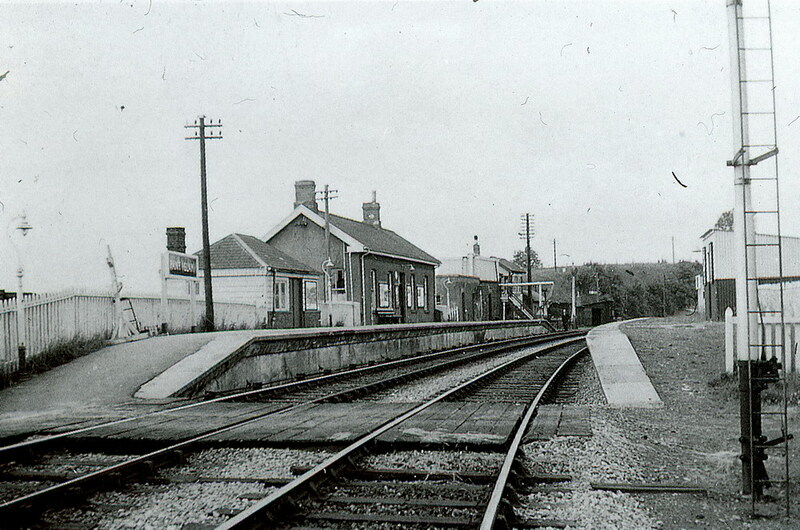 The station was completely closed on 31-12-1962. Hubert Gwynne 3rd from Left. 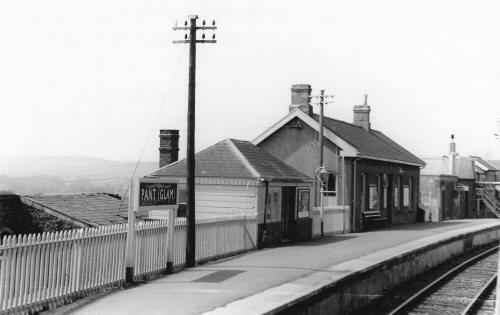 Pant Station. 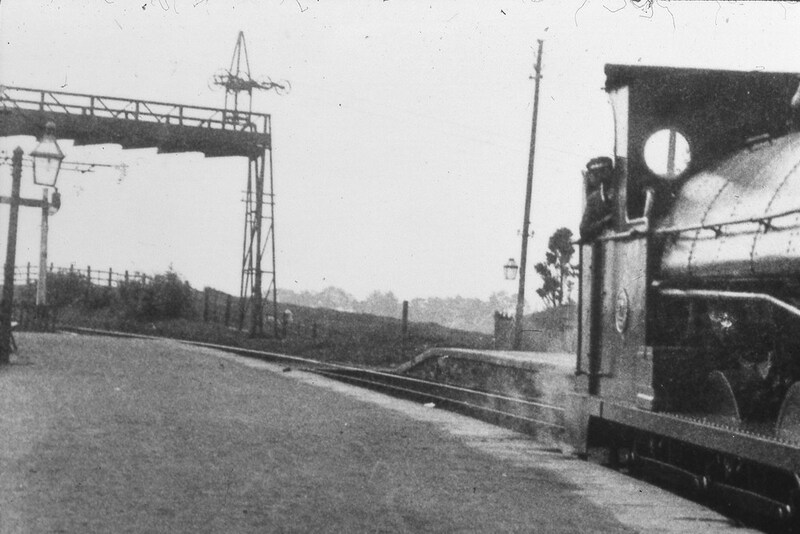 showing a trestle for the Silca Aerial Ropeway and a B & M railway engine. 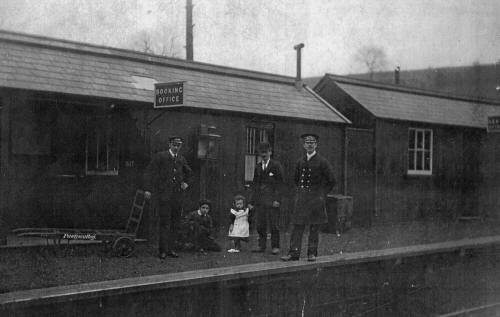 Do you have any photographs or information relating to Pant Station?